Whether we realize it or not, parts of our culture are slowly disappearing. As the world becomes flatter, entire continents choose to use the same currency, and people move around the world and merge cultures – the individuality of many places is eroding. Of course, there are great benefits to the new "fusion" culture that is arising from this … but there is a real danger that traditions are being lost. One symbol of these cultures is language. National Geographic paints a bleak picture for the future of language (though they do have a language revitalization program underway to address the issue by partnering with a group called Living Tongues). Still, they note that "every 14 days a language dies. 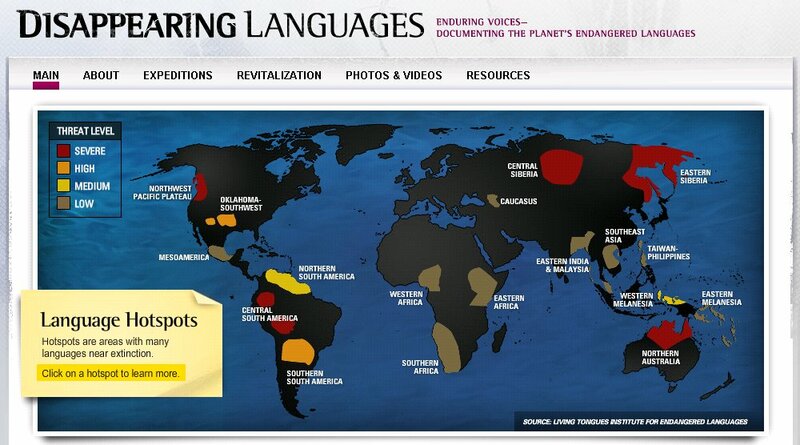 By 2100, more than half of the more than 7,000 languages spoken on Earth – many of them not yet recorded – may disappear." 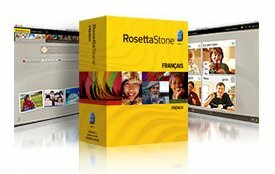 Against this cultural context, Rosetta Stone (a leader in offering language training services) has a cause marketing effort underway called the Endangered Language Program. As it sounds, it is an effort to catalog and archive some of the world's rapidly dying languages by working with members of the culture to save and record them. The "on brand" part of this is that they use their software technology and language learning methodology to help groups to do this themselves. And most importantly, once it is done, the language learning program is the property of the organization to distribute as they wish. It addresses a critical need for humanity. It demonstrates the power of the product as an integral part of the solution. It is a challenge not easily solved that will take time and resources. It is urgent and needs to be done right now. It is ownable for the brand as something unique to them. Brands do all kinds of Corporate Social Responsibility (CSR) programs, many of which have very thin connections to their brand. Rosetta Stone has the opposite. Not only is the Endangered Language program a perfect fit with the mission of their company, they need to use their own software and tools in order to execute it. Am I saying brands shouldn't do good just for good's sake? Of course not. But if you're choosing a program for your entire company to get behind, wouldn't you rather choose something strategic like this? Kudos to Rosetta Stone for the mission of the Endangered Language Program, and for offering a lesson in strategic CSR any business can learn from.